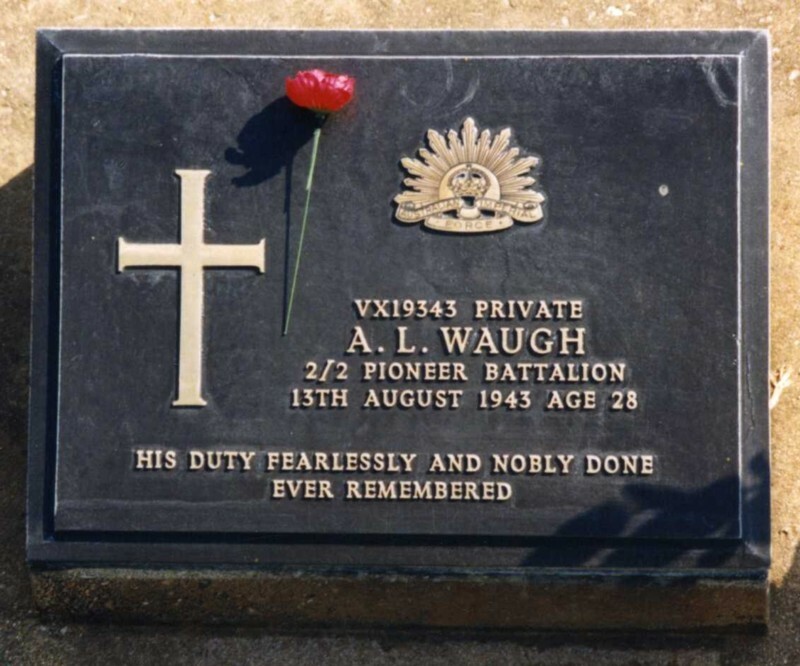 Background : Son of Alfred Charles and Maggie Elizabeth Waugh, of Brunswick West, Victoria, Australia. No previous military experience. Blue eyes, fair hair. Marital status : single. Marks / scars : scars on elbow. Medical : ring finger of right hand stiff. 31/05/1940 Taken on strength Recruit Reception Depot Caulfield, Victoria. 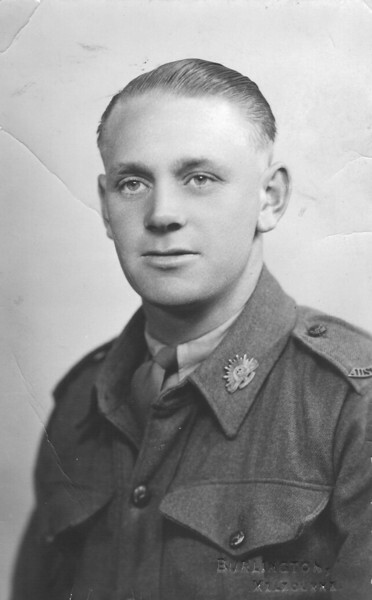 01/06/1940 Posted to 2/2 Pioneer Battalion Puckapunyal, Seymour, Victoria. 13/08/1943 Reported died from cholera while in prisoner of war camp in Thailand. 26/03/1946 Exhumed from Hintock cemetery by War Graves Unit. Reburied Kanburi Allied war cemetery Collective grave 1. Q. 2-78.